Your child is never too warm because of the 0,5 TOG and still comfortable because of the soft and elastic fabric. The Zipper opens to the bottom which is convenient while changing the diaper. 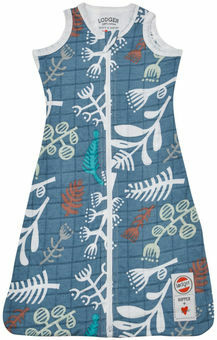 The newborn sleeping bag is safe to use because of the perfect fit around the arms and neck.